Washington is home to 700 wineries and 350+ wine grape growers. The total economic impact on Washington State is $3 billion dollars and $4.7 billion to the U.S. economy. So, what is the big deal? 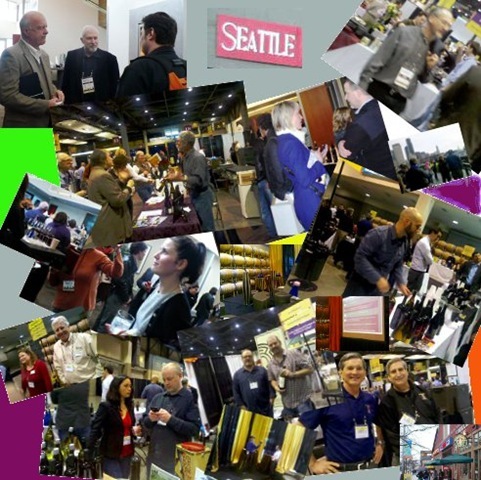 Taste Washington is the event that brings the industry together. It’s a chance to meet those that were there when the industry began and it’s a great opportunity to hear the buzz about the innovators, the “rock star” winemakers, and the latest in Washington wine trends. Taste Washington 2011 was a whirlwind weekend that began on Friday March 25th with the 9th Annual Wine Restaurant Awards. The highest honors went out to Seattle’s very own iconic Canlis Restaurant for their outstanding support of Washington wines. The next day followed with a fantastic line-up of seminars and the weekend ended with an all day Grand Tasting. Over 200 wineries participated. And if you missed Seattle’s event this year head down to Portland May 1st…. Taste Washington will be taking over the Pearl District by storm….or more accurately by……wine!